FREE invitation to everyone to get together with family and participate in the 3rd international yoga day celebrations – Registration required. 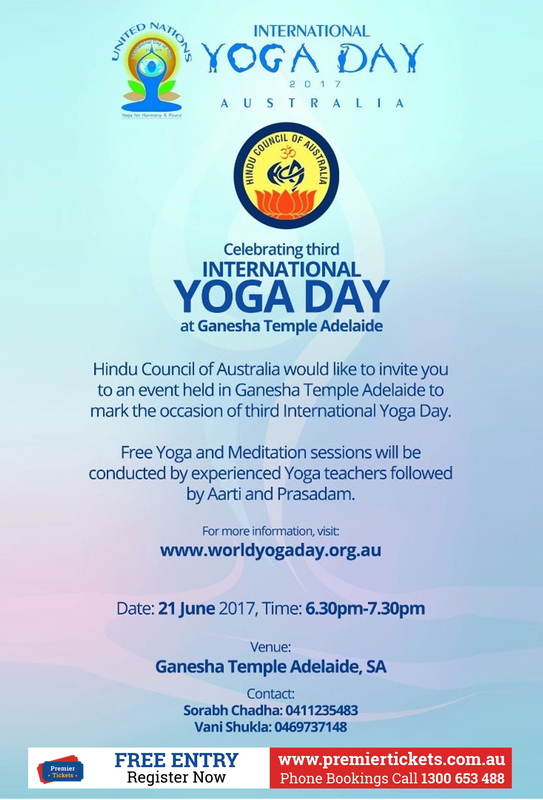 The Hindu Council of Australia (HCA) would like to invite you to an event held in Ganesh temple Adelaide to mark the occasion of third International Yoga Day. Free yoga and Meditation sessions will be conducted by experienced yoga teachers followed by Aarti and Prasadam.